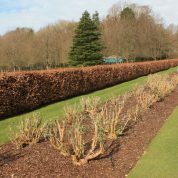 Originally the Buddleja at Longstock were always hard pruned 20cm (8”) from the ground in early January. I always thought this was too early. Young shoot were often frosted in late February and the collection also looked bare for 4-5 months. 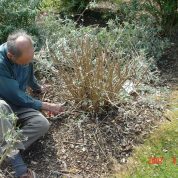 So in recent years I have advocated early to late March, this year 2016 I have found weather challenging and the Buddleja in my own garden were starting to produce new shoots by mid-March so I pruned them. Today 19th April they have put on no new growth, in fact some shoots have died back even on the common B. davidii. Roses in the garden have also not responded to late February pruning. So if you live in a cold damp area, delay until the middle of April/early May. 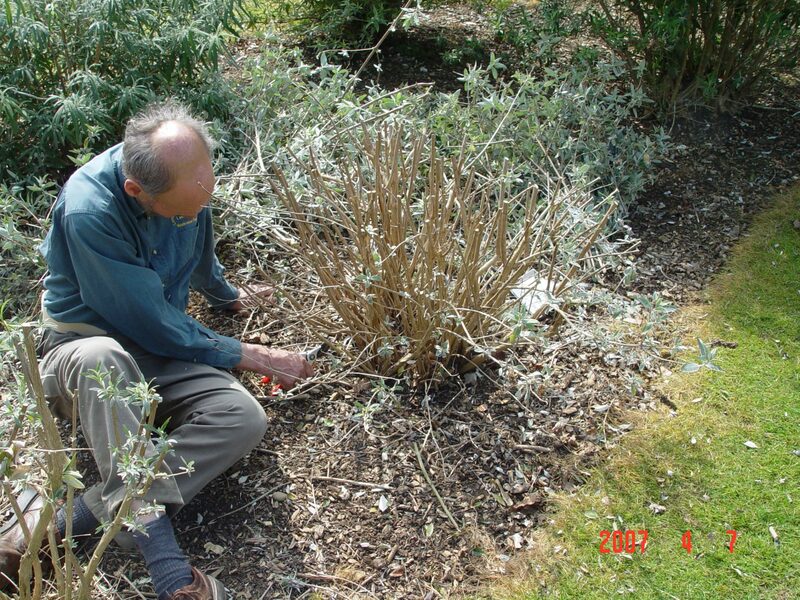 I have to prune to about 150 buddleja each year so I have to spread it over several weeks. 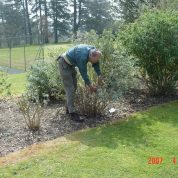 At Longstock I prune B. davidii cultivars in the nursery garden in late February/early March; B. davidii 20-40 cm (8-12”) and B. davidii and summer hybrids by the summer house in April. 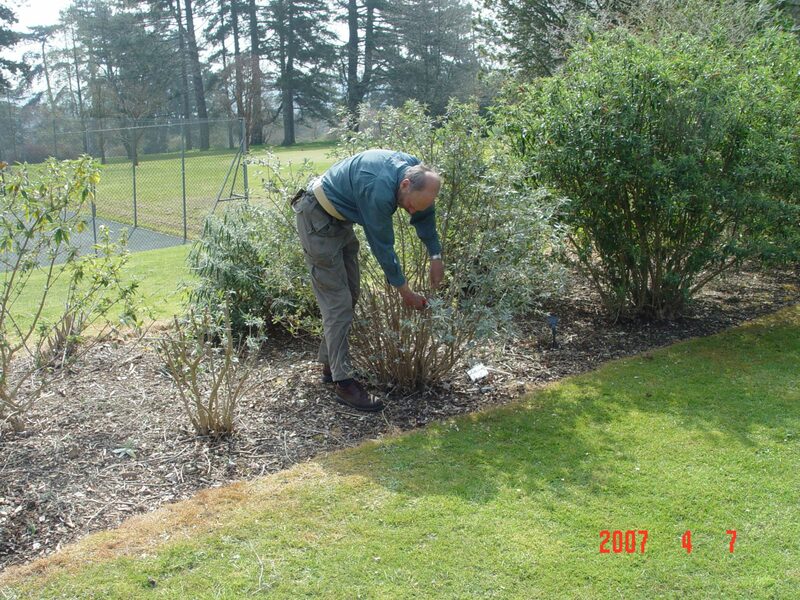 These are pruned slightly higher 40-60 cm (16-24”). 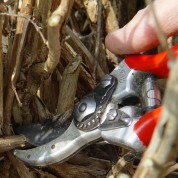 If late cold springs are to be the norm in future years, leave pruning until late April/early May. Certainly leave until there is new growth coming on B. davidii ‘Glasnevin’, B. ‘Summer House Blue’ & B. ‘Nanho Purple’. Basically like a rose, remove all of the old wood to develop a framework to carry the flowers in the coming season. 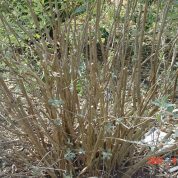 Also remove any congestion of shoots in the middle of the bush. 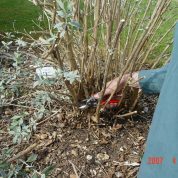 I cut back the shoots with an angle so the rain runs off to about 2cm (¾”), it is a very bad horticultural practise to leave 5-8cm (2-3”) or more above the leaf joint. All the B. davidii are root hardy so if the stems do get frosted they will shoot away from the base in late May. 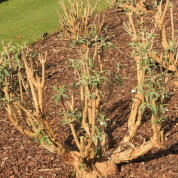 Buddleja x weyeriana cultivars should be treated the same as B. davidii. 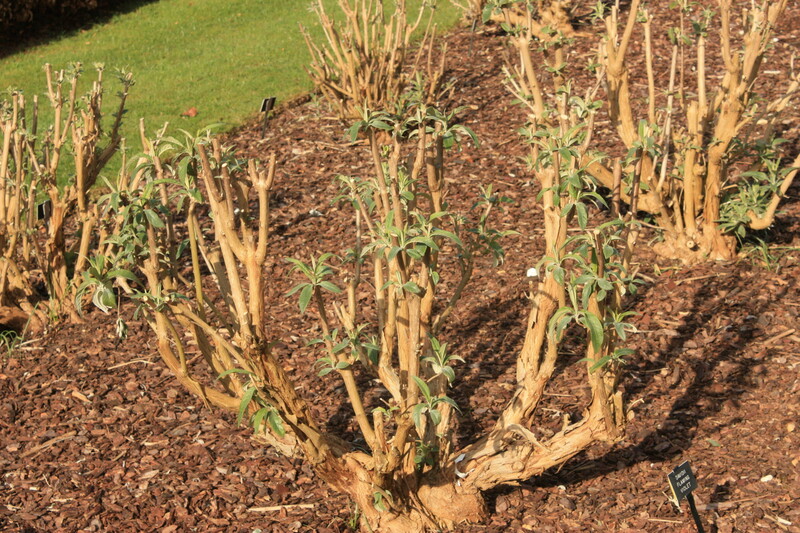 Buddleja lindleyana can be pruned hard, but I prefer to grow it has a small tree. 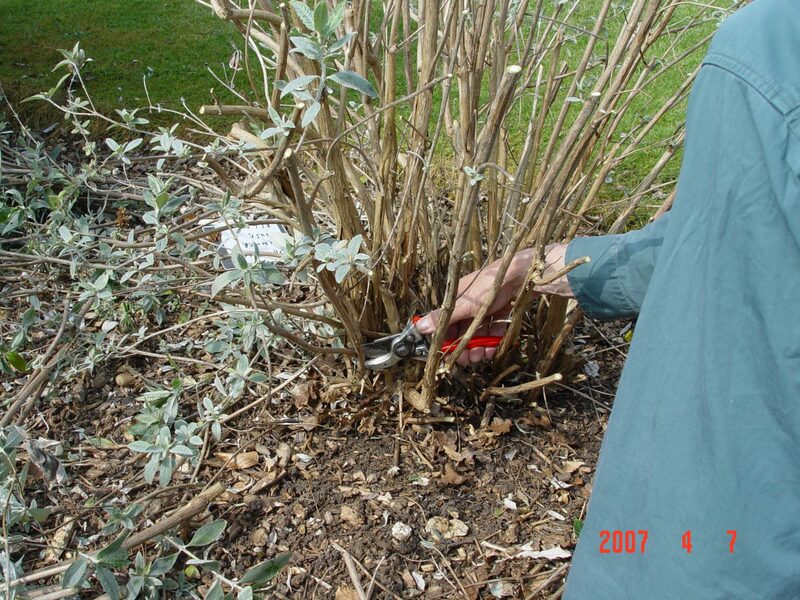 B. alternifolia remove old flowers in June, but it can also be grown as a bush or trained into a small tree. B.alternifolia ‘Unique’ hard prune in the middle of March (flowers all the summer). 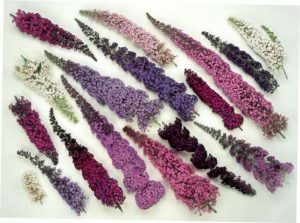 Buddleja paniculata early flowering species, prune in April – May to reduce height if getting too large. Flowers appear in late May (all frosted in March 2016). B. 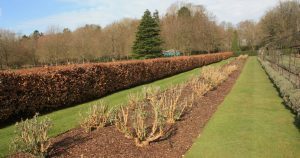 ‘Silver Anniversary’ prune in early May reduce 50-60% of growth. B. alternifolia ‘Longstock Gem’ prune after flowering in June to remove old flower shoots. 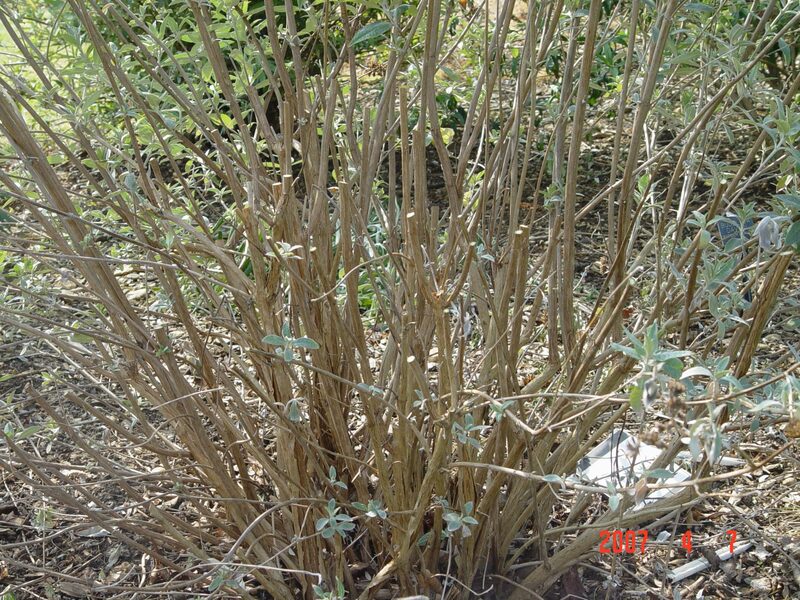 It can make a large shrub so every few years it can be cut hard back to 30cm (12”) from the ground. With tender species, reduce the height if touching the roof, remove dead wood, flowering shoots and generally cut out old wood. 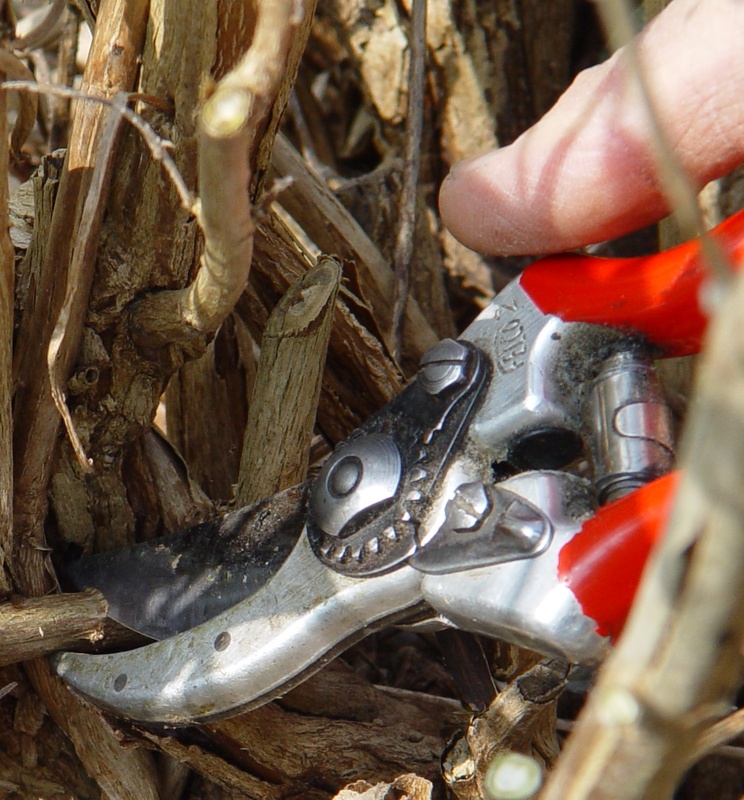 Buddleja loricata prune in dead wood in late spring and remove flowers after flowering. Further notes to follow later in the year. In October I reduce the height of the tall cultivars down to 120cm (4ft) to prevent winter wind damage. Very important on B.davidii ‘Dartmoor’.